I fell in love with the complex characters, fascinating settings, and twists and turns. At the end I couldn’t bear to turn it off! 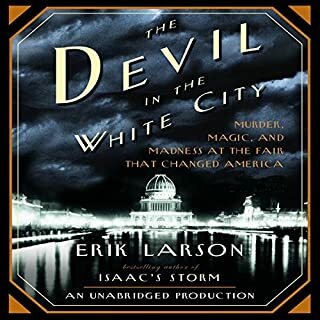 I found the story about Holmes very interesting, but the extensive details of the construction of the world's fair did not hold my interest. I decided not to finish about halfway through. 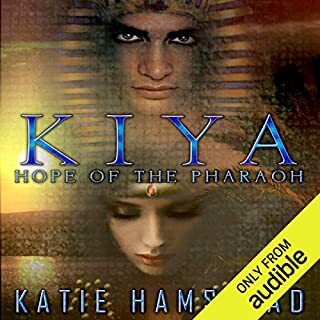 In Kiya, Hope of the Pharaoh, Egyptian soldiers visit a Hebrew village to find a new wife for the Pharaoh. The Egyptians desire one of Naomi's younger sisters, but Naomi bravely volunteers herself in order to protect her sisters' virtue. When she arrives at the palace, she continues to show strength and bravery, as she stands up for the other wives and concubines, fights the tyrannical first wife, and stays true to her religious beliefs despite threat of death. I usually do not read historicals, but I'm so glad I made an exception for Kiya. I was immediately fascinated by the world she created and rooted for her characters. I loved stepping into a different world and was impressed by all the detail, such as social norms, culture, food, clothing, and marriage traditions. However, a world is nothing without its characters, and this book has fantastic ones. Naomi/Kiya is a wonderful strong, female character. She is courageous, moral, and easy to root for. I also found the Pharaoh's character to be complex and fascinating. I expected him to be more of a traditional "bad guy" type, but he was very layered and unusual. And the love story between Naomi and Malakai was noble and heartwarming. When he told the story of Rachel and Leia, I admit to tearing up a bit. I'm so excited to read the rest of the series! Well done Katie Hamstead! What can I say? This was amazing, and a perfect fit for my tastes. Definitely the best book I read in 2013, and one of my new all time favorites. I loved the complex characters and their relationships, the well-developed supernatural elements, and the use of anti-heroes. I can't wait to read more by V.E. Schwab! I found the premise of this book to be fascinating, although maybe a little too unbelievable. I'd love to ask David what it was like to create a character with almost none of the basic character attributes. No gender. No race. No body. No name. No family. No real history. I can't imagine how he wrote the blurb for this book, let alone the whole thing! However, I loved how this premise worked for the story. It's perfect for a YA novel. Imagine trying to figure out who you are at 16, when you are literally no one. I think teens would be both terrified and excited about the idea of waking up as someone new every day. 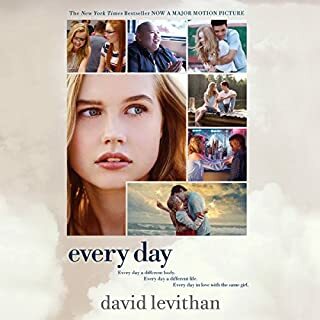 Although I loved the thematic elements that the premise explored, and thought it allowed for lots of fascinating turns (like waking up in the body of an addict), I did have to suspend belief quite a bit. As a big fan of science fiction and fantasy, I am happy to suspend belief. However, I think David should have explained a little more here. Like, why does he/she almost always wake up within driving distance of Rochelle? He/she seems pretty lucky that the families he enters always speak English! In any case, it's a fun and thoughtful read. Highly recommend. Stephen is used to invisibility. He was born that way. Invisible. Cursed. Elizabeth sometimes wishes for invisibility. When you're invisible, no one can hurt you. So when her mother decides to move the family to New York City, Elizabeth is thrilled. It's easy to blend in there. Then Stephen and Elizabeth meet. To Stephen's amazement, she can see him. And to Elizabeth's amazement, she wants him to be able to see her - all of her. But as the two become closer, an invisible world gets in their way - a world of grudges and misfortunes, spells and curses. 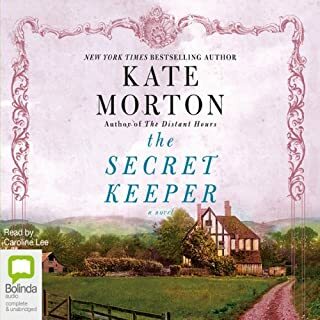 This was one of the best books I've listened to this year. 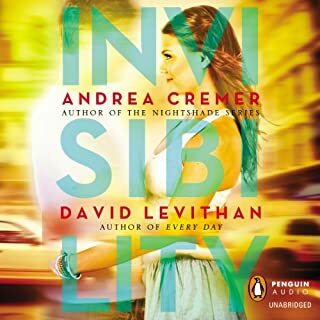 I had the pleasure of hearing David Levithan and Andrea Cremer read from this book at the YAB fest in Round Rock. I was intrigued by the excerpt they read and also with the story of their collaboration. This story was written like a conversation. Each one would take turns writing a chapter, with very little discussion about plotting beforehand. I was a little unsure if the invisible boy premise would hold up, but they did well explaining it all in the end. The story was sweet and engaging with lovable characters. Highly recommended. This is the ultimate geek hero story. 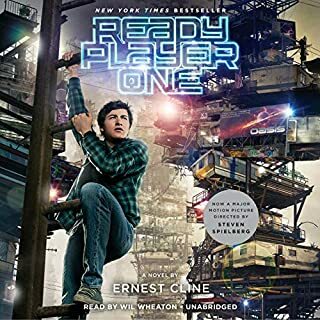 If you like the 80s, video games, or are any kind of geek (or as Ernest Cline calls them "enthusiasts") you'll love this. I enjoyed richly created alternate world. My only complaint is that this book is LONG, which lots of descriptive tangents. From the Bahamas to Heathrow airport, to the rain soaked streets of London the dead have ceased dying. This is inconvenient for a number of reasons but what's the real reason behind the chaos? In London we find Nigel Reinhardt, a disgraced, confused, and gifted London police constable who owns a prophetic goldfish. In Ireland the Angel of Death questions the value and position of his current employment. At Majestic Technologies Celina McMannis works diligently on a top secret project. 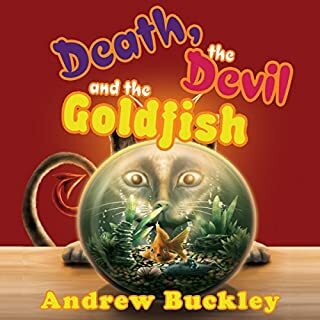 Would you listen to Death, the Devil, and the Goldfish again? Why? Sure! It's a funny, easy listen. This story reminded me of Douglas Adams, full of absurd British humor. Buckley has a clever and rich voice. I laughed throughout the story. Which character – as performed by Jon Cross – was your favorite? Jon Cross made the narrative come alive. 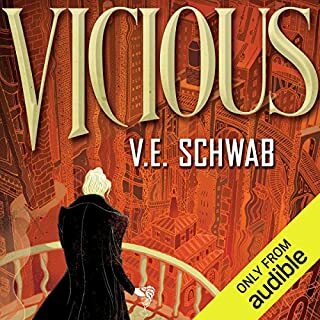 I loved his interpretation of the characters, especially the voice he chose for the Devil. I would if I had time!